On Monday, March 18, 2019, our mom went to be with her Lord and Savior. Mom was born in Lagos de Moreno, Jalisco Mexico. 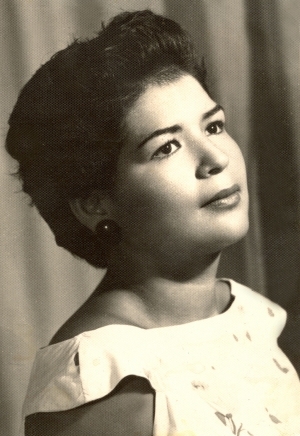 She was known as “Mami Sofia” by her family. She moved to Mexico City where she met her love Alfonso Martinez. They soon married and went to live in, Fillmore, CA. Mami Sofia accepted Jesus Christ into her heart and soon was involved in the church she attended. In the latter part of her life, she assisted by leading the songs at the church. She loved to sing. She worked at Deeter’s Turkey Ranch then went to work at Saticoy Lemon Association until retirement. Mami Sofia was preceded in passing by her husband Alfonso “Papi Goliat” Martinez and her grandson David Martinez. She is survived by her loving children: Alma (Jose) Sandoval; Alfonso (Delia) Martinez; Connie (Salvador) Loera; Carlos (Dolores) Martinez, 16 grandchildren and Greatgrandchildren. The family would like to thank with all our hearts the staff at Oxnard Manor for the loving care they provided and also the staff at Graceful Care Hospice. We will never forget you and God Bless you all. There will be visitation on April 4th at Skillin-Carroll Mortuary from 6 to 8 pm, for family and friends. Celebration of life will be held on April 5th at 10am to 11:30am at Faith Community Church, 461 Central Ave. Graveside service will follow.